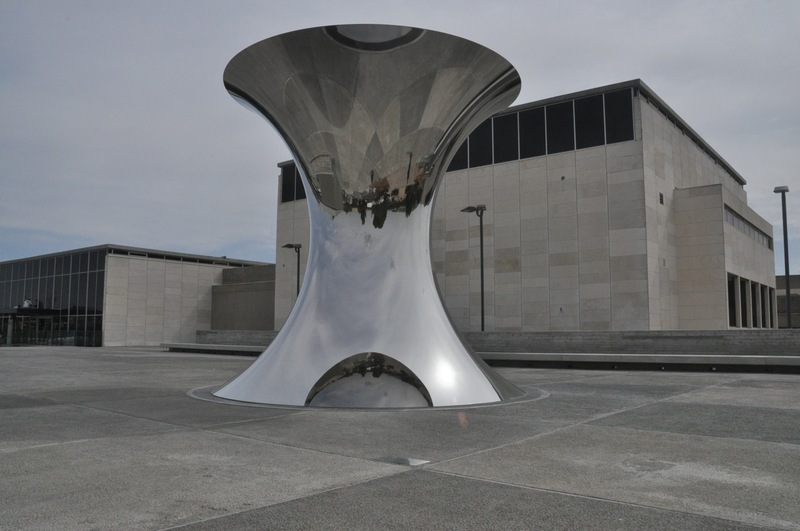 A newly acquired piece of art, a polished stainless steel hourglass 5 meters tall stands in the plaza at the highest point of the Israel Museum campus. 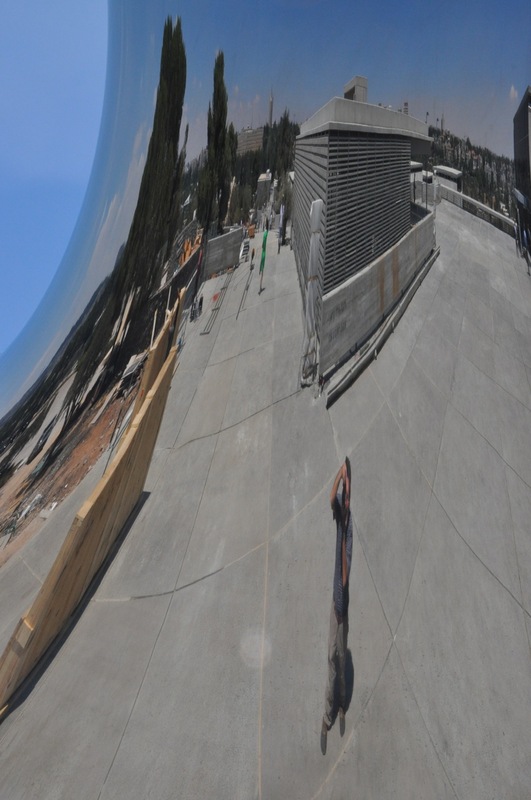 Commissioned by the museum from the London-based Indian sculptor Anish Kapoor it is called “Turning the World Upside Down, Jerusalem”. Kapoor is known for creating visually striking works that inspire interaction. Depending on where you stand you can frame the museum’s buildings, the trees and the sky in the polished surface and the effect is to invert the images, a play on the duality of the heavenly and earthly Jerusalem. And that’s what I did and captured in this photograph (note that the photo is upside down). This entry was posted in Art, Museum, Photography on July 22, 2010 by Shmuel Browns.